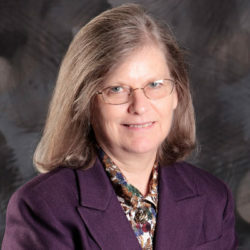 Professor of Accounting Suzanne Cory, Ph.D., was recently named a recipient of the 2018 Texas Society of CPAs (TSCPA) Outstanding Accounting Educator Award. The statewide award honors Texans who have demonstrated excellence in teaching and who have distinguished themselves through active service to the accounting profession. Criteria for judging includes instructional innovation, student motivation, the pursuit of learning opportunities for students, involvement in student and professional accounting organizations, and research accomplishments and publications. Cory, who has published more than 25 peer-reviewed papers and presented at numerous regional, national and international conferences, has taught at St. Mary’s University since 1991. A press release from the Texas Society of Certified Public Accountants cited her as a “big picture” thinker — someone who encourages her students to think critically rather than memorize from textbooks. “Students sometimes get bogged down in the minutia of recordkeeping, and that is only a very small part of being a successful accountant,” Cory said. Cory will accept her award on Friday, Oct. 26, at the University of Texas at Dallas during a ceremony, held in conjunction with the annual TSCPA Accounting Education Conference.